Danny and Scott head to the rock concert with Richard. Danny crashes Richard's car into some boxes. Maria and Helen are having a cup of tea. Jim asks them in a Chinese accent if they are coming to the Chinese night at the Coffee Shop tonight. But Maria wants to spend some time with Richard. Jim staggers out with some tyres Max has given him back. Jim comes back in with some things for Max. He gives them to Maria to pass on. Helen says Jim is being as childish as Max, but Jim says Max started it. 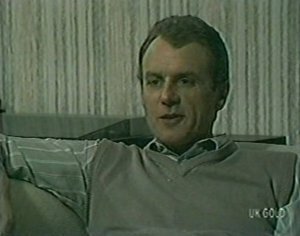 Helen tells Jim that Maria would like them both to come over for dinner one night to get to know Richard better. Jim says he'd be delighted to (obviously since he has fallen out with Max!) Helen tells Jim off and says he'd better sort things out with Max. He reluctantly agrees not to do anything more to antagonise Max. Richard is driving the boys home from the concert. Both Richard and Scott are fed up with Danny and aren't speaking to him! As Terry is leaving, Eileen arrives with all her stuff. There's loads of boxes. 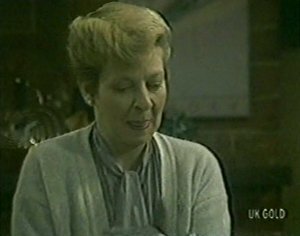 Eileen tells Des that although she isn't moving in for a month, she thought she'd bring her stuff over a bit at a time! 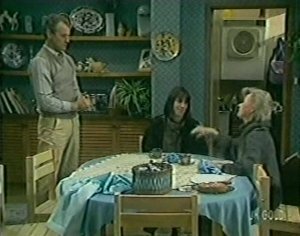 Des tells Eileen off - he doesn't need looking after. She brushes this off and starts bringing her things in. Maria sees Richard an the boys coming home. Everyone is in a right sulk and Maria is shocked to see the broken headlight. She tells Danny off and says he's staying in tonight. Also that he's grounded for a month with no pocket money. She cuffs him round the ear and says he'd better learn some manners. Eileen has brought all her stuff in. 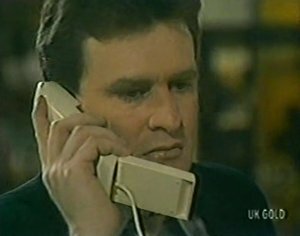 Terry answers the phone to a man. It's the same one as the other day - Charles. She tells him not to call her again, but he says he wants his tapes. She threatens to call the police, but the man says Terry would go down with the rest of them. Terry brings in a garden hose with her - Max has left it there. Jim is mad, but Terry says sometimes people behave differently when they're under stress. 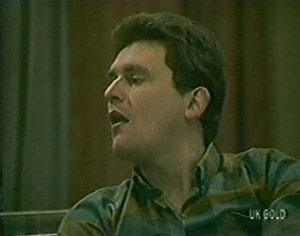 Richard tells Maria that it was a genuine accident with Danny and the car. Danny is in the living room pulling a tape apart. Richard tells Maria to calm down. Maria tells Danny to go and do his homework or go and see Scot of something. But Danny points out that he's grounded. 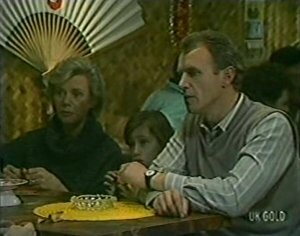 Maria says he can go to the Chinese night, just so she and Richard can have some peace and quiet. Scott is wearing a coolie hat and taking Danny, Terry and the Robinsons' order. They read the jokes out of what looks like fortune cookies. Richard and Maria are saying goodnight. Richard says his love for Maria scares him - he's scared of losing her. They have a pash and Maria tells him she doesn't want him to go. 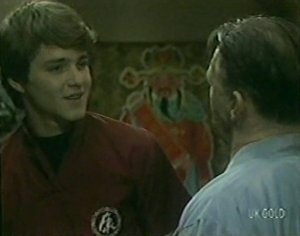 Jim tells Scott that he has to finish school before he gets a job. They all decide to head off home. Scott and the owner (Wally) are cleaning up. Wally tells him that he's going away for a few days. He'd like Scott to take charge after school until they close. Scott is pleased and shakes hands on the deal. Jim has heard from his mother - she is in Singapore and won't be able to get back for the wedding. Helen says that Laura, her sister, is coming and she's looking forward to seeing her. JULIE: Des, are you going to drink all that? DES: No, I'm going to wash my hair in it. 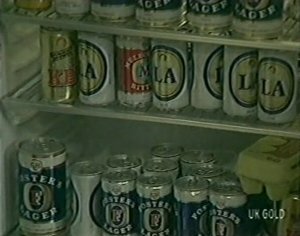 Des says that he has a lot of beer because Eileen and Julie are driving him to drink. He opens a can for his breakfast! Maria is watering the plants and telling Danny off about the car again. She tells Danny that if he continues to be so cheeky he's only making a lot of trouble for himself. Danny wishes that Max had given him driving lessons himself, then he wouldn't have pranged Richard's car. Eileen and Julie are making plans to pull Des together(!) Eileen has made up an efficiency chart for Des. Des comes in and is very angry. Julie heads off to work. 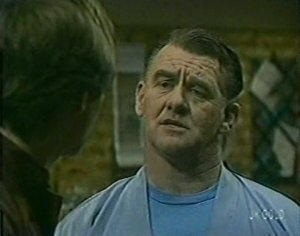 When Julie has gone, Des says he's had a gutful. He opens his address book and rings Daphne. He begs her to come back.